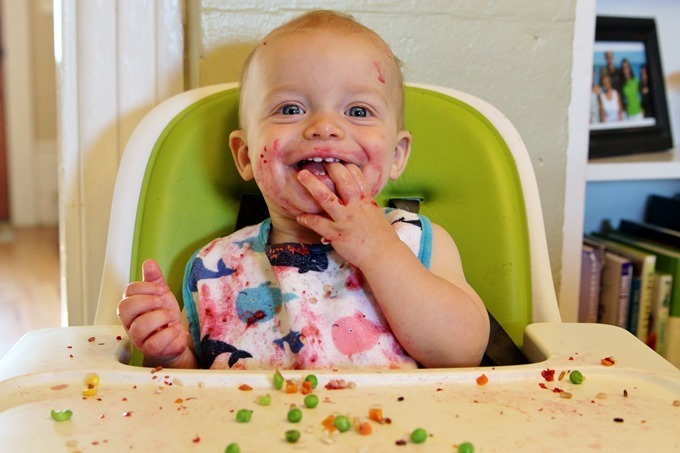 Foodie Baby: Babies & Big Kids! This post is sponsored by SpoonfulOne. Good morning, friends! Now that I’m starting to feel a bit better, I’m ready to think (and talk) a bit more about food again. Food has not been my friend these last few months, but I’m happy that is slowly starting to change. My kids have been happy to reap the benefits of my lack of appetite – many bagel breakfasts and pancake dinners. But I like to think that on a typical day, we are lucky that they are pretty diverse and healthy eaters. I thought it would be fun to talk a bit about what they are eating (and not eating!) these days now that they are older. What use to be days filled with plenty of time to plan, think, and prepare for every little snack, smoothie, or meal is now a rush of breakfast on the table by 6:30am, packed lunches for school, and dinner squeezed between activities, work schedules, and early bedtime. I’m sure so many of you can relate! Now that we are expecting, it’s also time for me to start thinking about feeding a baby again. I remember so SO little about the baby stuff, and I definitely don’t remember all the specifics regarding first introductions to solid food. I know some people can’t wait, but we weren’t in a rush to start solids for either of our boys. I never got caught up in all the labeled “feeding strategies” and things that people are into these days. We just did a mix of soft foods, purees, and yes – canned baby food, as we introduced things bit by bit and figured it out ourselves as new parents. OMG CAN WE TALK ABOUT HOW CUTE BABY CULLEN WAS? The bigger my boys get the more their baby pictures just kill me. Sigh. I remember being more freaked out than I thought I would be by introducing solids. The gagging and choking scared me, and I worried about potential allergens or intolerances, and how to identify if there was a reaction. Thankfully we dealt with very little of that, but the worry was always there! It turned out that Cullen has a random allergy to bell peppers, which we identified after a series of reactions (lots of hives and welts all over the face and mouth when exposed). While we still avoid peppers in his food, it’s not a big deal since it’s not a super common food that we have to be really careful and diligent about. Now that I’m thinking about feeding another baby, it’s time (well not time just yet, but soon enough) to need to brush up on all that has changed since we did this last. 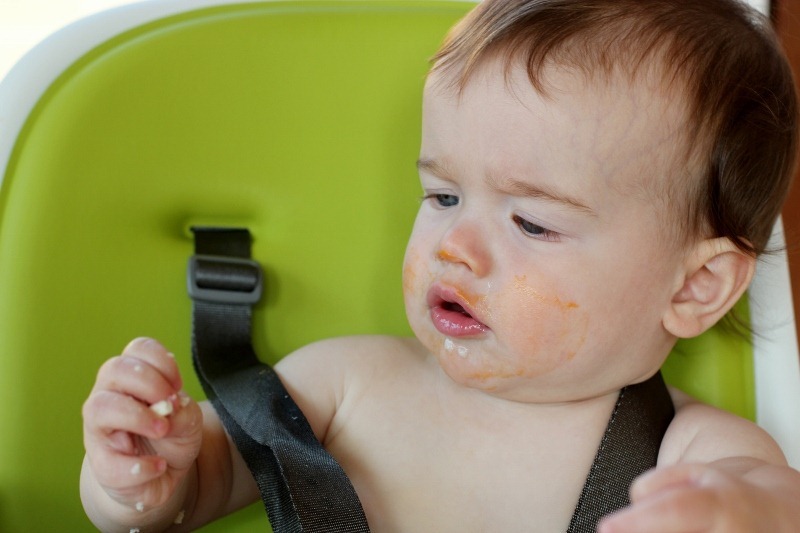 Just as there are all new brands of car seats and strollers and swaddles and everything else now, in the four years since we have done the baby thing, there are also lots of new recommendations on things like when do introduce certain foods – specifically, allergens! It is crazy how food allergies have exploded in recent years. We have a number of friends who deal with potentially life-threatening allergies in their kids, and I’m always over the top cautious whenever I prepare food for their kiddos. We pack all allergy-friendly lunches for the kids’ schools now, as it is something that has to be taken very seriously in the classroom too! There is some really interesting research being done that indicates that in order to decrease the likelihood of common allergens like peanuts, parents are now being advised to introduce all these foods earlier rather than later (as previously suggested). Although while I say “new” research because it is different from what was recommended a few years ago, I believe earlier introduction was the norm back when my mom was feeding babies! 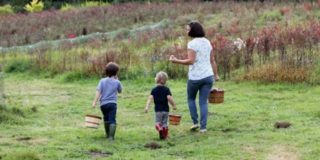 But when I was introducing solids to my boys several years ago, the recommendation then was to wait until 9 months for eggs, after one years for nuts, etc. But all of that is changing! 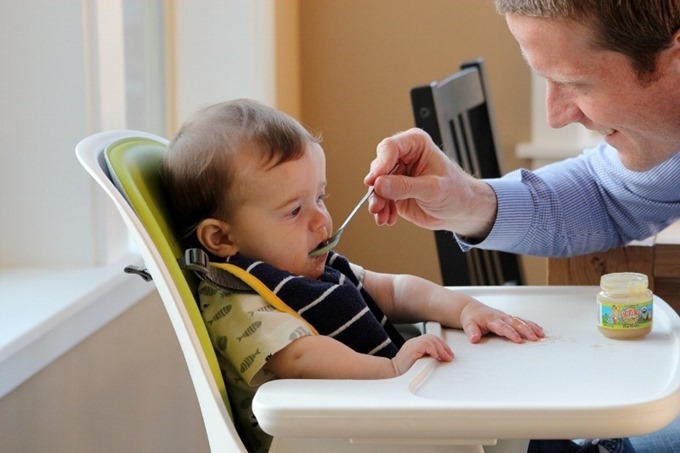 SpoonfulOne is a new product aimed at gently introducing babies’ immune systems to potentially allergenic foods and reduces food allergy risk. It was invented by a pediatrician, allergist and mother of five. SpoonfulOne is a daily food mix-in that includes very small portions of all common allergenic foods (peanut, egg, milk, fish, shellfish, tree nuts, soy, wheat, sesame), including vitamin D for immune balance. Since 77% of people with a food allergy are allergic to something other than peanut, it’s important to include diverse foods early and regularly. 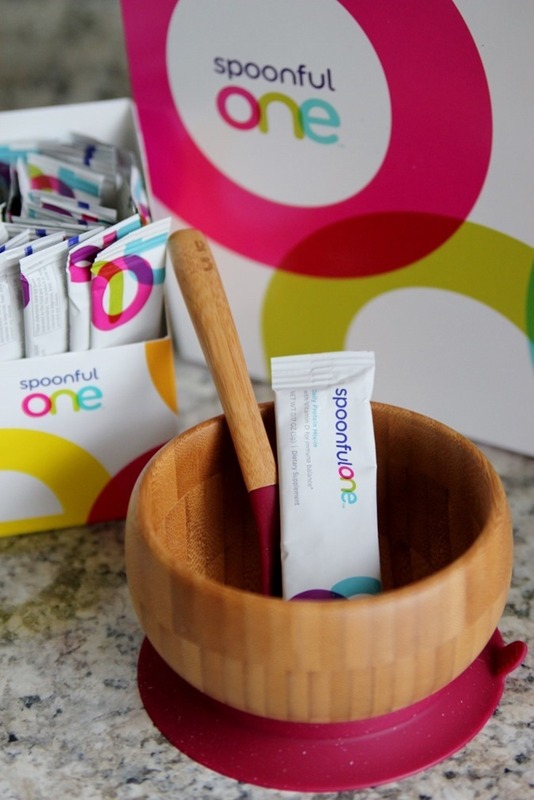 SpoonfulOne is made of real food – no preservatives, artificial sweeteners, flavors, or dyes. The approach is that these allergens are introduced early and often, which the American Academy of Allergy, Asthma & Immunology recommends at 4-6 months, when your baby is ready for solids – in order to consistently train their systems with the foods responsible for most food allergies. It’s so interesting to think about using something like this for baby #3! Since I found introducing potential allergens to be particularly overwhelming, I imagine that using a product that combines them all very gently could ease a lot of the anxieties I felt as we sloooooowly introduced them one by one, which was the old way of thinking. It’s such a small amount, and yet it’s an easy and convenient way to include all common allergenic foods into your everyday feeding routine. 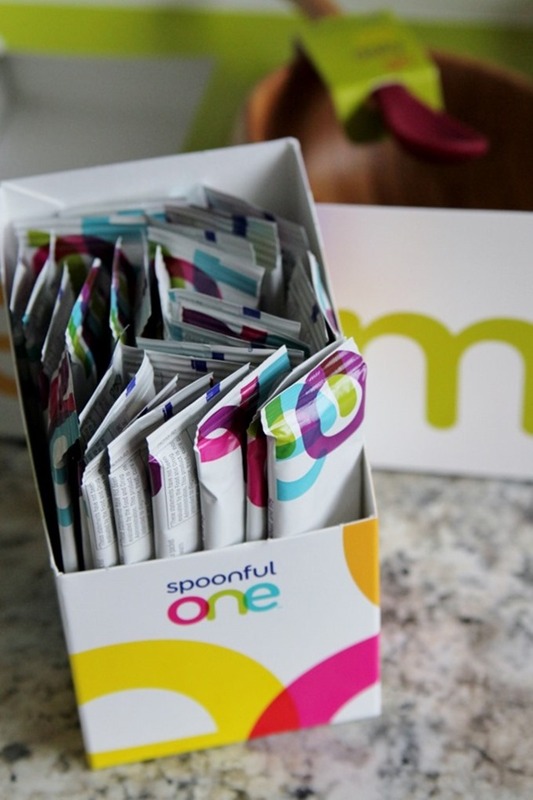 SpoonfulOne comes in pre-portioned daily serving packets that you sprinkle and mix into your regular baby food. It also comes with this adorable wooden bowl and spoon set – how cute is that? 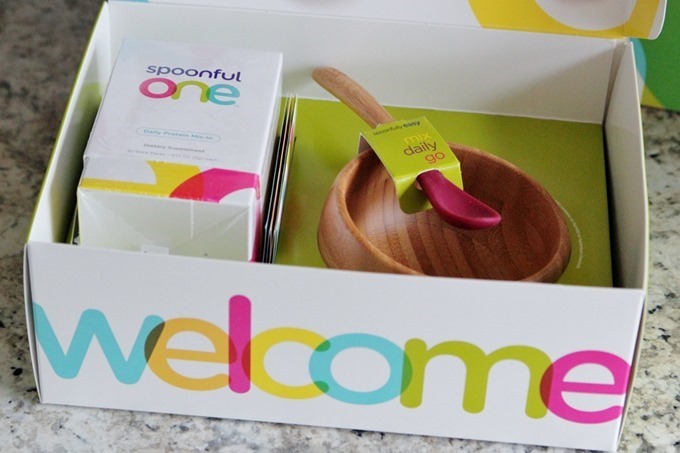 Fingers crossed that we can continue to avoid the major allergens with this new baby, but just to be on the safe side, SpoonfulOne is definitely something we will consider using when it comes time to introduce solid foods. Gaahhhhhhhhhhhhhhhhhhhhhhhhhhh. Is there anything more delicious than baby pictures? I want to eat him up! Cannot handle it. 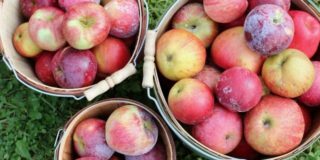 Back to School Lunch Ideas! Now that the kids are older (currently 4 and 6), obviously feeding them these days is a much different picture! Gone are the tiny bite size pieces, the purees, and the finger foods. Now they eat what we eat, and we rarely even pull out the plastic dishes anymore. I would consider both of them to be very good eaters all things considered. Of course, I still wish they ate more variety and were a bit more adventurous, but I think for the most part we are lucky that they eat as well as they do. Our approach has always been to feed the kids the same things that we eat. 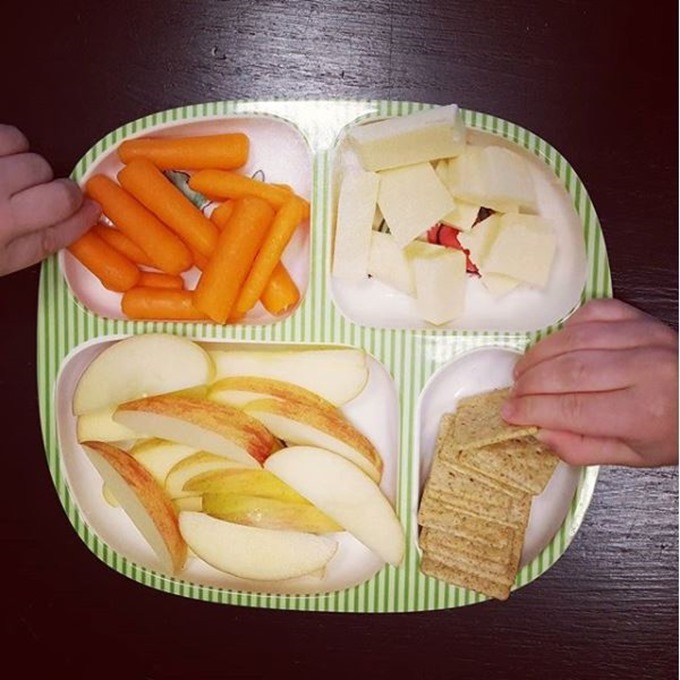 We have always made them mini versions of our meals, sometimes broken out into segmented compartments (since for some reason mixed or touching food is a cardinal sin to two year olds). But for the most part, the food itself is the same. One of the big things I’ve been a stickler about from day one is that I won’t make the kids separate meals – not from each other, and not from us. That doesn’t mean I won’t offer variety and choices sometimes. But there will be no separate cooking for noodles for one child, and rice for another, and something different for mom or dad. Who has time for all that cooking and all those dishes!? My other big rule is that what is served for dinner is what we are eating for dinner. If you don’t like it, don’t eat it! It might sound harsh, but I’ve found that kids aren’t going to starve themselves. I think a lot of parent panic when their kids refuse to eat, and then start offering alternatives to avoid sending kids to bed hungry. While obviously I understand the thought behind that, I really don’t think a truly hungry child will refuse to eat. I try to always make sure there is at least one thing in the dish that they should enjoy, and then something else that is a tad more adventurous. I’m always happy to offer to top something with cheese or salsa to make it more appealing, or to offer ketchup or something else to dip in if that is the problem. I’m happy to be flexible, but I’m not going to bend and say “okay will you eat if I make you pasta instead?” My kids have absolutely gone to bed without eating dinner before, and all it really meant was that they were ready for a big breakfast the next morning! Speaking of breakfast, this is actually the meal where I’m happy to offer the most variety. All the breakfast foods are so quick and easy that I don’t mind making everyone what they prefer. We almost always have oatmeal ready to go for Cullen, and Graham prefers yogurt and granola. Both are quick and healthy so I’m happy to have them get their day started with a full belly of food that they enjoy. 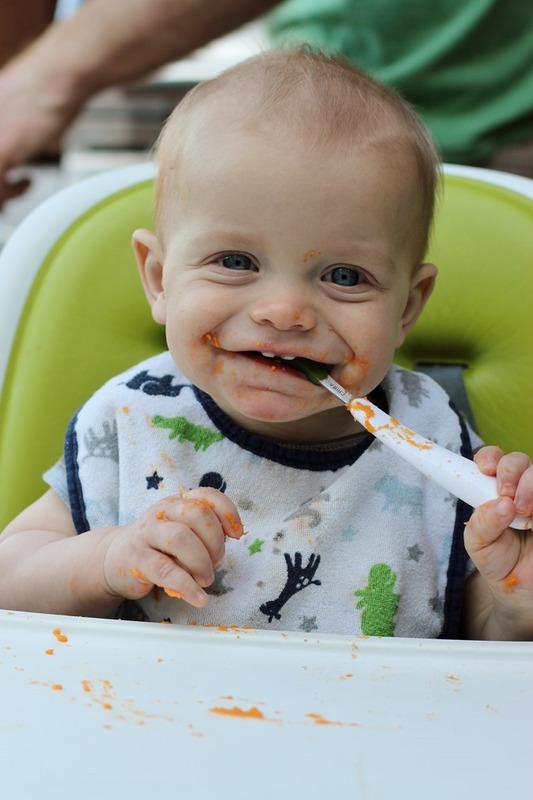 We don’t go out to that often these days, but I do think that eating out in restaurants is actually a good way to introduce kids to a variety of foods, as well as good table manners. 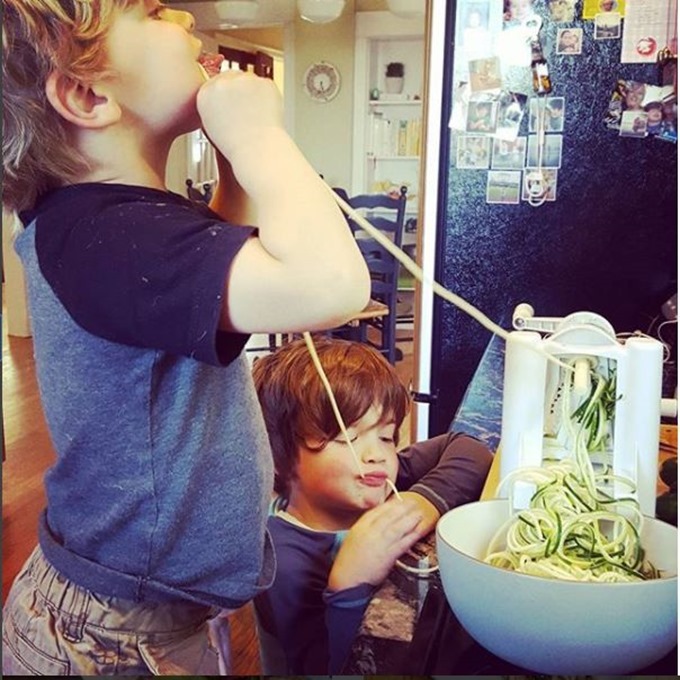 Our kids tend to be a lot more adventurous in restaurants than they are at home, where the are expecting the basics. When we go out for pizza, we all usually share one as a family, so now our kids are used to ordering mushrooms and olives on theirs too. Dinner is probably where I push the envelope a bit that results in pickiness. Breakfasts and lunches are really basic – mostly because they are super rushed to all get made and either eaten or packed before 7am! 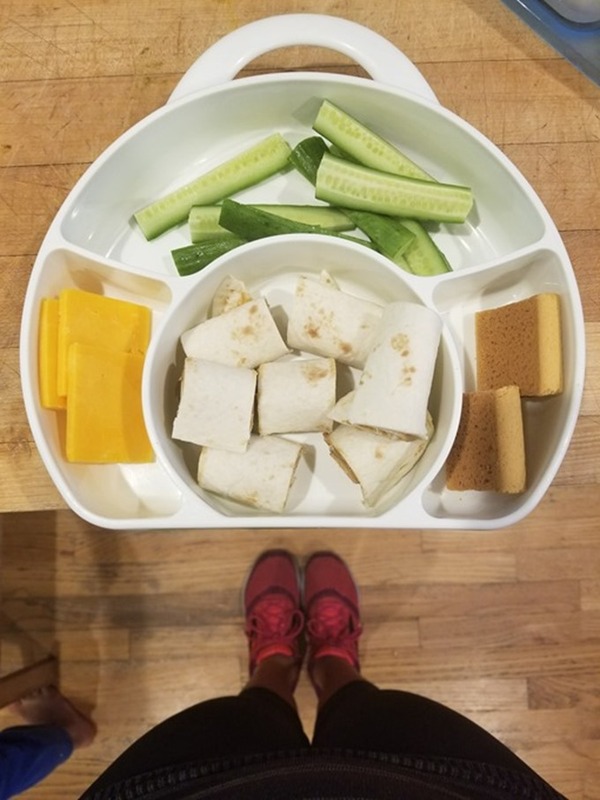 I’ve written about packing school lunches before, and I continue to try to just pack a variety of favorites along with nutritious stuff that will keep them full and hopefully not bouncing off the walls. I’m not super into snacks and try to limit snacking as much as I can, because I think it really takes away from what’s eaten at meals, especially later in the day! This isn’t as big of an issue anymore now that the kids have school most mornings. It used to be that no matter where we went for our daily adventure – as soon as we got somewhere all anyone wanted to do was snack! Eventually I started leaving the snacks behind, and the kids got used to waiting between meals. These days I generally do one after-school snack, because they are expending so much energy at school that it seems like they really need it. It’s simple grab and go finger food type stuff, and they usually have a plate to share in the playroom once they are back together for the day. So that’s a big of what and how we are feeding the kiddos these days! And also how we are starting to think about feeding our next foodie baby. I’m still not sure I believe it! What are some of your kids go-to favorites these days? 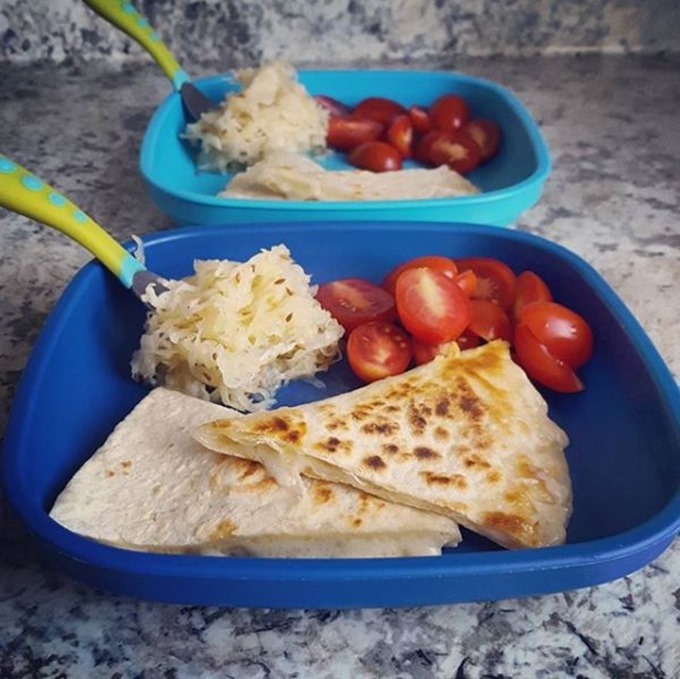 Any great simple lunchbox ideas? I’m always happy to hear new suggestions! the reason for all the food allergies now is because of vaccines. in the 80’s when i was a kid, i got 13 vaccines to be considered fully vaccinated. for kids now it is a staggering 69 vaccinations,0-18. we have to ask ourselves, are kids healthier? no they are sicker than ever. 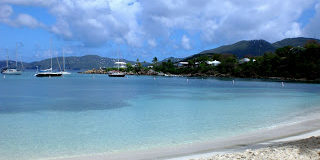 USA is #1 in SIDS and childhood cancer rates for a developed country. We also have the highest vaccination schedule. in 1986 congress made it illegal for people to sue vaccine manufacturers. they have no accountability. to date, over 3 billion has been paid out by the u.S. government to victims (or their families) of vaccines. big pharm makes billions of dollars each year. aborted fetal cells, formaldehyde, aluminum, monkey organ cells, dog kidney cells, etc. are injected into baby’s bloodstream. this is having devastating effects. i urge all moms to really research whats in these and the side effects. and NOT cdc sourced material. Appreciate your thoughts but definitely not looking to start a vaccine debate here! 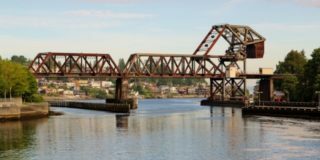 There is a lot of varying research, and it’s not a subject I feel comfortable discussing in this space. I am not pro or anti vaccine. I am pro educating yourself on each one individually and deciding what is right for your family. That said, I agree with the allergy-vaccine correlation, specifically the Hep-B at birth. I have personal, antecdotal evidence for this as well as from trained physicians. Certainly something to look into! If you are a family with no known allergies and you use SpoonfulOne and have a reaction, how do you determine what is actually going on? I am pro-introducing allergens, but no where on the website do they address this. They do write that if you have a history of food allergies to work with your doctor. It seems like it could open up the door to a lot more work than just introducing some egg at 6 months. I’m curious about your thoughts? Such a good question! I actually looked into this myself as I was researching the post. Essentially what I was told is that if there IS a reaction, discontinue the use of the product and then talk to your doctor about seeing an allergy specialist. At that point, you’d likely do the skin prick test to see what the cause of the reaction was (and potentially identify more than one allergy at that time, avoiding multiple allergic reactions through individual food exposure). Ok! That sounds reasonable. I think they should highlight a little more of that on their site since they are getting so much blogger exposure lately. Thank you and congratulations! And a followup, is it vegetarian? My initial reading was that there was at least shrimp or other seafoods. I agree that it seems to be a very commonly asked question! I guess you are right on the vegetarian aspect — since shellfish are some of the major allergens, those are included. So wll you be using this product since it has shellfish? I thought you were raising your children vegetarian as well. We will definitely consider it! Need to meet our babe and get to that point first. :) I think in the case of food allergies, the shellfish exposure is important to consider regardless of dietary preference. We live a very plant-based life but we aren’t perfect on every level. That was my concern, I would think that you would want to have small amounts of individual potential allergens, rather than the big 9 grouped together. Also, as my allergist always reminds me, sometimes “the dose is the poison.” That is, a small amount of wheat doesn’t bother me, nor does visiting one cat at somebody’s house, but eating a regular, larger amount of wheat would, as would having a cat in my house where I’d be exposed to it regularly. So a tiny amount of an allergen might not cause a reaction, so you might think it’s okay to give your child a larger amount, and then they might have a reaction. How are they 4 and 6?! That makes me feel super old, I’ve been reading your blog since your culinary school days! Congrats to you and Casey on your exciting news! RIGHT!? Blows my mind — don’t know how they got so big! Thanks for reading for so long — that’s amazing! This methodology to preventing allergies is very new and the science behind it is not proven, and people should not be hearing about it from anyone other than their doctor. You are the third blogger I read who has promoted this product in the last week, and none of you are using it. I’m willing to bet that none of you will use it once you have infants. It seems irresponsible to write about something that you can’t currently use that is not FDA approved and should be done strictly under the supervision of a pediatrician, if at all. I’m not surprised at the others who did this, but you taking this on surprises me. Please don’t start being like the other bloggers who shill every offer that comes across their desk. I would absolutely think about using this product when the time comes, but I would also totally agree that any decision like this should be discussed with a pediatrician (like everything with little ones!). You would be amazed by the number of partnerships I turn down on a daily basis. I do very few overall and choose them very carefully. I can’t speak to what any other bloggers are doing or writing, but I honestly think this is an interesting product, and I think the research behind it is solid. I appreciate you reading! And of course you should discuss with your pediatrician, just as you should discuss whether or not to feed your baby peanut butter or fish or any other allergens — it will depend on your own family history, your own comfort level with possible reactions, your baby’s health more generally, and all sorts of other factors. I didn’t realize anything about babies having allergies. Don’t worry, I have no children. There isn’t anyone in my family that I can think of that actually has an allergy, and I couldn’t imagine having a baby get a life-threatening allergic reaction to something. Thanks for opening my eyes. I’m going to remember this for the future. We do the same with our kids (ages 4 and 6). It’s always been “this is what’s for dinner. You don’t have to eat it, but you’re not getting anything else.” Kids learn quickly, and when they dig in their heels and refuse to eat they eat a much bigger breakfast the next morning. Luckily my 6-year old seems to understand that he needs good food in order to do all of his activities, so if he’s hungry he will pretty much eat anything. My 4-year old would eat nonstop carbs if I let her, and she’s much more willing to go to bed hungry (probably for principle more than anything else). Great post! You obviously have not met my son. No he will not eat just anything even when hungry and no he will not go to bed hungry but rather will cry and kick and scream for hours until parent realizes that he had very little for dinner and asks if he is hungry. I say this because I hope others in the same situation don’t read your story and feel like failures like I did from reading and hearing “they won’t let themselves starve”. Each child is different. Now, we have wisened up and don’t budge on dinner but always offer a snack like cereal or toast before bed. Bed time issues solved. And no, he hasn’t caught on that he can blow off dinner since he will get a snack anyway. I’m sure as he grows he will change his likes and dislikes and we might have to change the strategy, but it’s been a life saver letting go of other people’s beliefs and trying something different. I have a very close friend who has one kid that she has to make different stuff for. He absolutely will starve himself otherwise. His pediatrician was really concerned. This momma has two other kids raised the same way who will eat anything. (And he is currently presenting as neurotypical other than food habits.). Even though I don’t have any kids, I always enjoy reading your posts about how you feed your kids. I always find it interesting to see what / how people eat. It says so much about them! When I was little my parents took the same approach that you do. If I didn’t eat dinner, I didn’t get dessert or a treat before bed. Hi Emily! I’ve been following your blog for ages from Hungary, Europe! :) I have a 4.5 year old and an almost 2 year old boys! :) We are a vegan family. My questions: Are you still a vegetarian family? Do you also eat vegan meals? Will your little girl be vegetarian too (you mentioned that this SpoonfulOne contains fish and shellfish that’s why I’m wondering)? 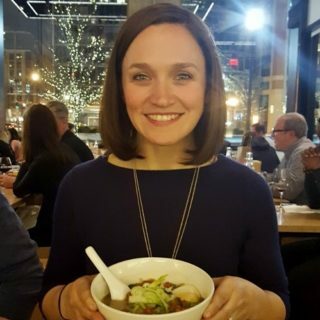 You have actually posted numerous times about how you make one meal for the kids and put them to bed before you cook a Blue Apron meal for you and Casey, for example. Very misleading. Also, what if your kids genuinely don’t like what you are offering them and they go to bed hungry? Is that fair? If I offer you a steak or a hamburger, are you going to eat it? I’d be willing to bet you would eat something else and not skip a meal. Too bad your kids don’t have that option. Don’t expect them to like something just because you do, that’s not realistic. Lastly, don’t promote products you have never and probably will never try. Hi! I’m curious on your thoughts on drinking kombucha while breastfeeding. I am currently breastfeeding my 6 month old and would love to drink it regularly but googled it and got mixed advice. We just started purés with this little one so I loved reading this post! Thanks! Congrats on baby #3! My #3 is almost a year old. All three of my kids have had different intolerances/allergies, most which they grew out of. My concern about this product is that if baby was allergic to one or two things, you wouldn’t know which ones. My #3 so far cannot have apples, oats, soy, or wheat. Ugh! Luckily peanuts and other nuts/seeds have been ok. Whew! None of my other kids have been bothered by wheat or oats, so this is a tough one for me to get my cooking around. We eat basically vegan/plant based.